Hastelloy Blind Flanges, Hastelloy Pipe Flanges Suppliers. Hastelloy C2000 Flanges Manufacturers India, Hastelloy X Flanges Exporter in Mumbai. 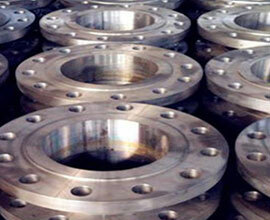 Regal Sales Corporation is one of the recommended manufacturer of Hastelloy Flanges In India. Our flange is a family of austenitic nickel-chromium-based superalloys. Type ASTM B564 Hastelloy Lap Joint Flanges are oxidation-corrosion-resistant materials well suited for service in extreme environments subjected to pressure and heat. 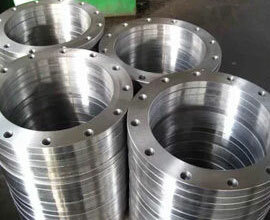 Type Hastelloy Blind Flanges can also be roll-threaded after full aging by using induction heat to 1,300 °F (704 °C) without increasing the grain size. Hastelloy Plate Flanges is retains strength over a wide temperature range, attractive for high-temperature applications where aluminium and steel would succumb to creep as a result of thermally induced crystal vacancies. Hastelloy Slip On Flange high temperature strength is developed by solid solution strengthening or precipitation hardening, depending on the alloy. Hastelloy Flat Face Flange it is important part of inconel flange family. Hastelloy B2 Threaded Flange is forged at 1038 to 1233°C (1900 to 2250°F). Hastelloy X Weld Neck Flange is annealed at 1149°C (2100°F). Our Hastelloy Flange cooled at temperatures ranging from 538 to 760°C (1000 to 1400°F) in order to prevent thermal cracking. We believe in customers satisfaction with our product and quality of product which we gonna supply to our customers. We Are most versatile and widely seller of Hastelloy B3 Raised Face Flanges. Hastelloy B2 Flanges Price in India, Hastelloy B3 Flange Pressure Rating. Regal Sales Corporation is manufacturer of Hastelloy Flanges, forged, ASTM B564 X (dual marked and certified), ASME B16.5, annealed and fully machined, raised face, smooth finish (125-250 RMS / 3.2-6.3µM) to MSS-SP6, SS B2 Flange hardness as per NACE MR0175 and tested to ASTM A262 E and PMI. Prestige quality Hastelloy Flanges manufacturers in India offer these Hastelloy Flanges in DIN, ISO, JIS or ANSI standard. Regal Sales Corporation is a manufacturer and supplier of Hastelloy Flanges offering in all Ratings up to 2500#, built a distribution network with more then 65 countries globally. Manufacturing Hastelloy Flanges in India, Regal Sales Corporation holds a wide range of Hastelloy Flanges in stock for immediate despatch throughout India & globally. Regal Sales Corporation is a Govt. approved certified Hastelloy Flanges exporter in India. All of our Hastelloy Flanges are manufactured and tested to international standards, and specifications as per DIN, JIS, EN, ASTM etc. Regal Sales Corporation is known as a trusted vendor as a Hastelloy Flanges distributor & dealer in your country. We have huge stock in Asia, GCC, Gulf, Middle east, UK to supply with over 28 countries, we provide after sales service and fast delivery.